I’m excited to announce that I have restocked the shop. Many of the items have been in the shop before, but I have a few new items that I’d like to share with you today. 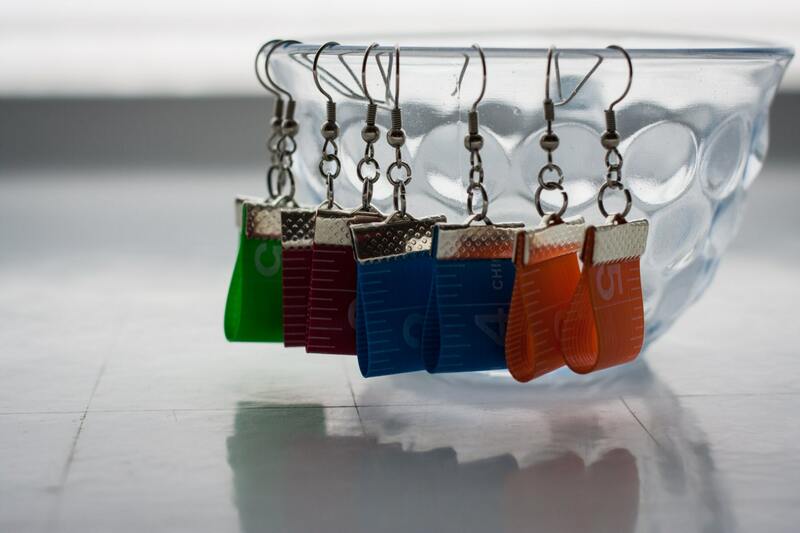 The Measuring Tape Earrings are my favourite. I bought a similar pair about a year ago and after only a few occasions of wearing them, they started to fall apart. I decided to improve the design. Rather than use grommets to secure the loop of the measuring tape, I found a ribbon clasp to pinch the top shut. 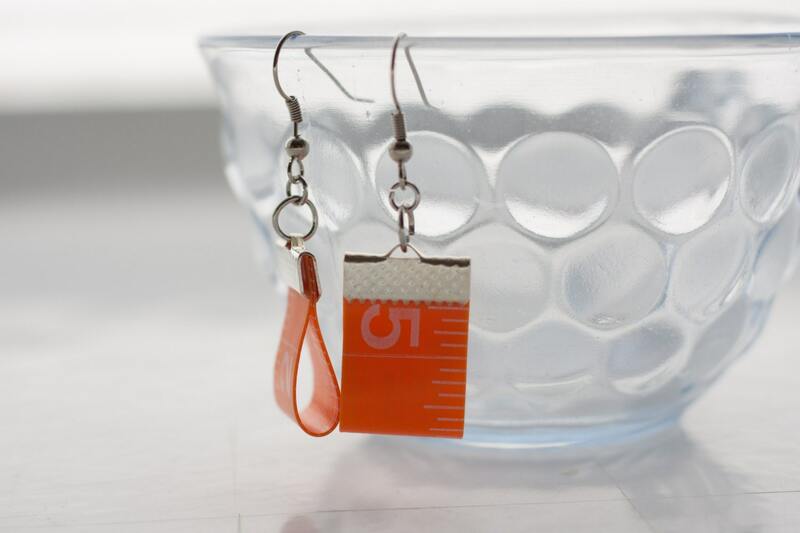 This also hides the cut edge of the vinyl measuring tape. I have been wearing a pair for 3 months now and they are going strong. 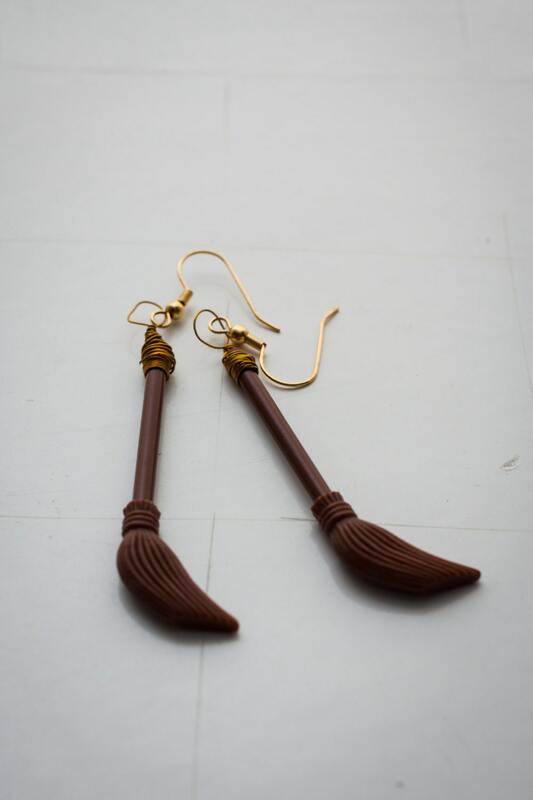 Since my shop is full of many Harry Potter characters, I have found myself with quite a collection of LEGO® brooms. Just putting a jump ring through the top didn’t give the right feeling to the piece. I decided to try a little wrapped wire. I am pleased with the look. To ease any concerns of your brooms flying away without you, the wire does go through the broom handle. The third new item is a bit of a custom LEGO® creation. I have created The Stig! 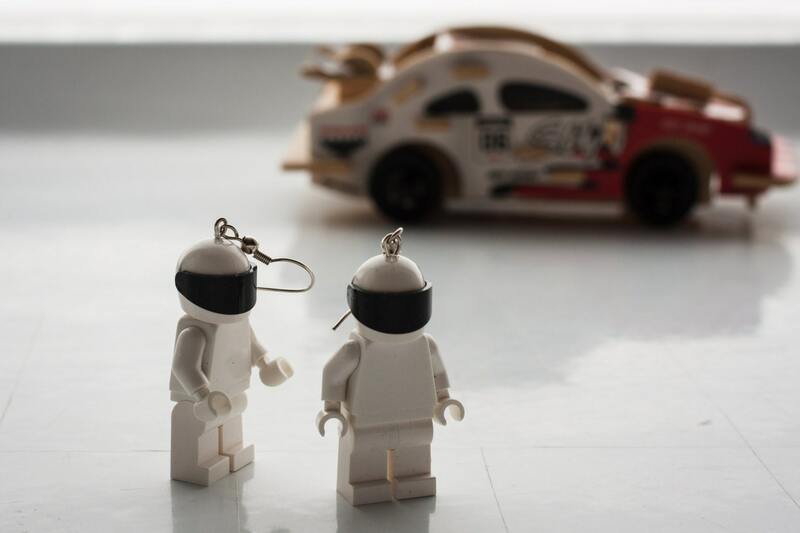 There is an official LEGO® Stig minifig, but they are very rare. I searched for just the right white pieces to assemble this little guy. For those of you who don’t know, The Stig is the tame racing driver from the very popular British show Top Gear. I plan on having more new items in the shop over the summer, please keep checking back.